Part Number: GS33583. Overdrive has been in the automotive parts industry for over 15 years. FIND THE RIGHT PART FOR YOUR CAR. QUICK LINKS. MIRROR ASSEMBLIES. MIRROR GLASS. OTHER PRODUCTS. Part Number: GS33616. Overdrive has been in the automotive parts industry for over 15 years. FIND THE RIGHT PART FOR YOUR CAR. QUICK LINKS. MIRROR ASSEMBLIES. MIRROR GLASS. OTHER PRODUCTS. Part Number: GS33584. Overdrive has been in the automotive parts industry for over 15 years. FIND THE RIGHT PART FOR YOUR CAR. QUICK LINKS. MIRROR ASSEMBLIES. MIRROR GLASS. OTHER PRODUCTS. MPN: G32463. 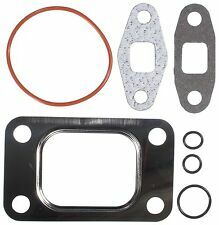 Gasket Material: Multi-Layered Steel. Overdrive has been in the automotive parts industry for over 15 years. FIND THE RIGHT PART FOR YOUR CAR. QUICK LINKS. MIRROR ASSEMBLIES. MIRROR GLASS. 5.9L OHV L6 CUMMINS DIESEL. SEE PICTURE! 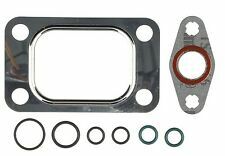 The following gaskets are included . Part #: GS33583. WARRANTYWarranty Duration: More than 3 years. You need to MOUSE OVER the left column to read the complete text. Victor GS33583 Victor Reinz Is The Largest Gasket Manufacturer In The World, pVictor GS33583. Autoplicity was founded in 2003. They didn't want just a website with parts, but they wanted to have passionate people like them who knew the cars inside and out working with them. Victor GS33582 Victor Reinz Is The Largest Gasket Manufacturer In The World, pVictor GS33582. Autoplicity was founded in 2003. They didn't want just a website with parts, but they wanted to have passionate people like them who knew the cars inside and out working with them.